OLD PARKED CARS. : Swedish Stocking Stuffers, Part 6 of 7: 1973 Volvo 142. 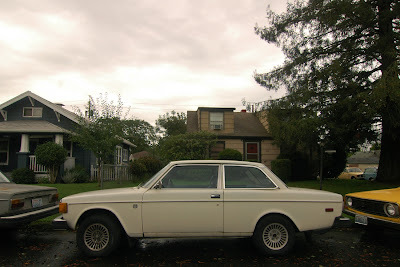 Swedish Stocking Stuffers, Part 6 of 7: 1973 Volvo 142. Ok. Now we see the full extent of this Volvo obsession. Astonishing that they all apparently belong to the same household! I'm very curious why the homeowner is so dedicated to these early '70's Volvos. Why? Why so many '73's? Why so many? 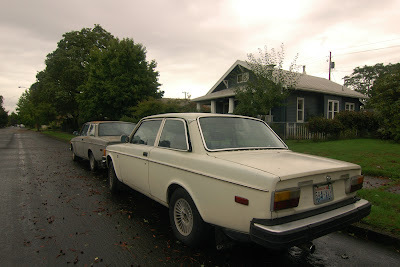 I've owned (I think) four Volvos but never one so old as these. Incredible that this individual owns this many Volvos all at the same time! Great to see the wonderful vintage paint colors, too. I wonder, does looking at these old wonderful cars make anyone else want to go out and find one? I mean, they do last forever (though the wiring harnesses don't always last forever. Or the floors sometimes.) But basically with one of these cars and some mechanical skills or some $ you can get yourself some reliable transportation. Great job, Old Parked Cars dudes. You guys Rock, and make me crazy to see these old cars. I don't care what they say, they make them like the used to, and I mean maybe. This blog is the really great blog for the Vintage cars and not too vintage, either, just the right amount and variety to keep it shakes things up. Keep it up the good works! Looks damn good with those turbine rims off a later Volvo. 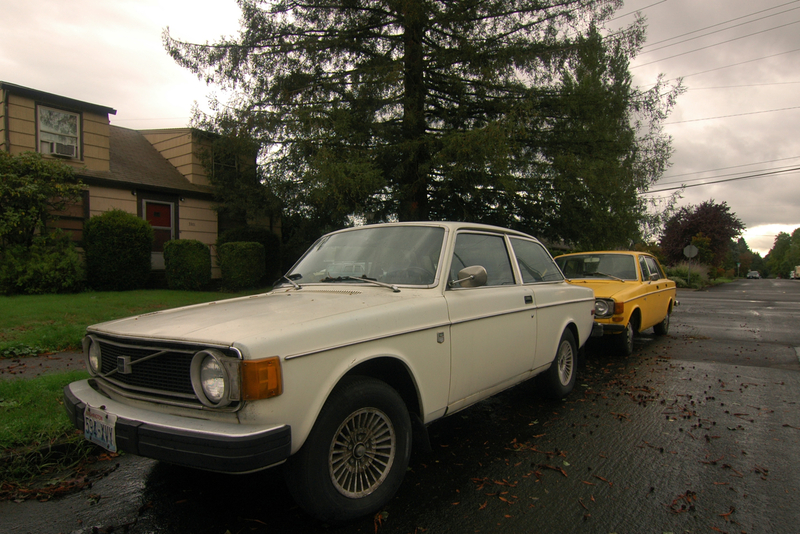 The yellow 144 behind it might be a 73 but the white one has 74 bumpers on it.